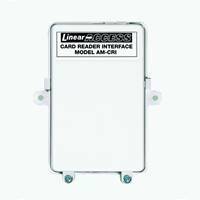 To use swipe card readers or a variety of other Wiegand devices in a Linear access control system, the AM-CRI card reader interface is required. 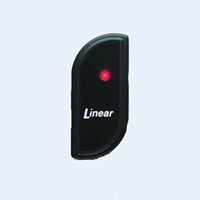 It will support up to two 26 or 31-bit Wiegand input devices from any manufacturer, permitting easy interconnection of card readers, proximity readers, or other devices that use this industry standard. The AM-CRI interface mounts near the readers and connects to the system controller through a six-wire cable. Power is supplied to the interface and the reader or readers from the controller or an external source of locally powered readers. For equipping a Linear access control system with one or two Wiegand devices. 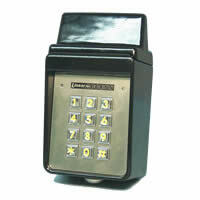 Card Reader Interface can be used with up to two 26 or 31-Bit Wiegand input devices. 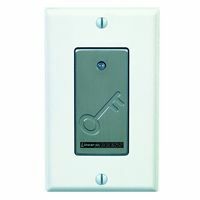 Power is supplied by system controller or external source for locally powered readers. Same as product number ACP00717.